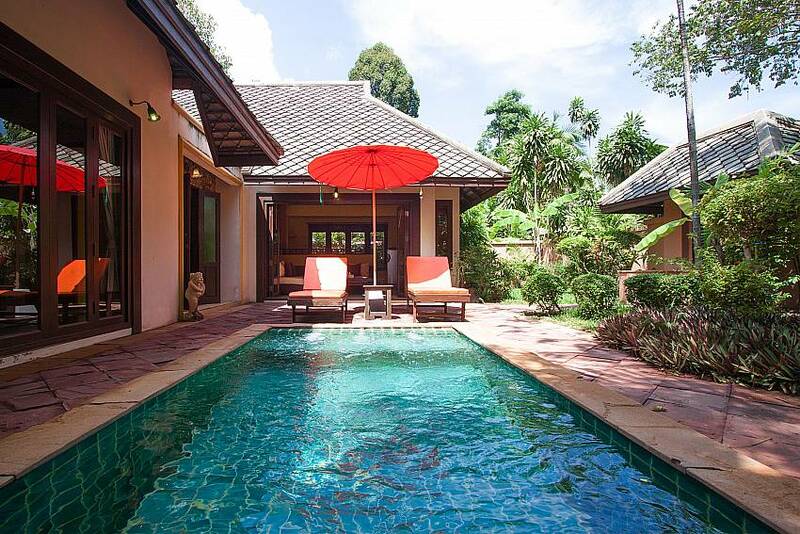 Experience vibrant Koh Samui with its long sandy beaches and stretches of coconut trees from a tranquil pool villa in a natural setting. 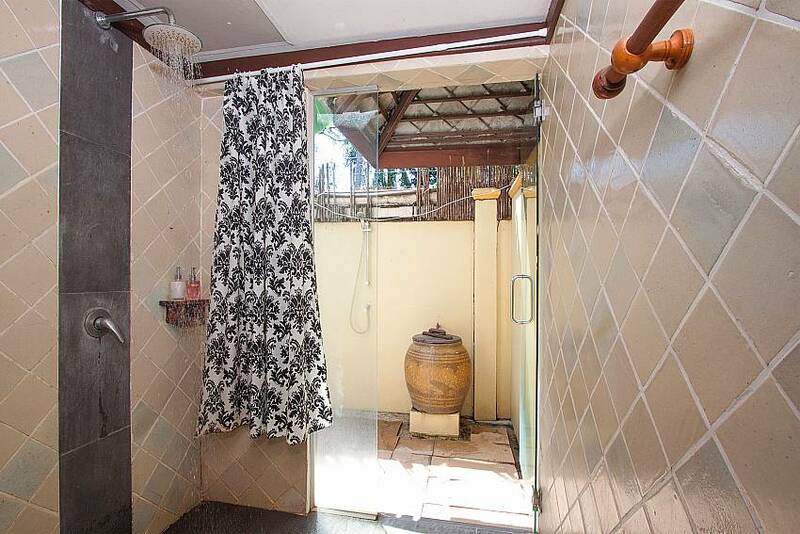 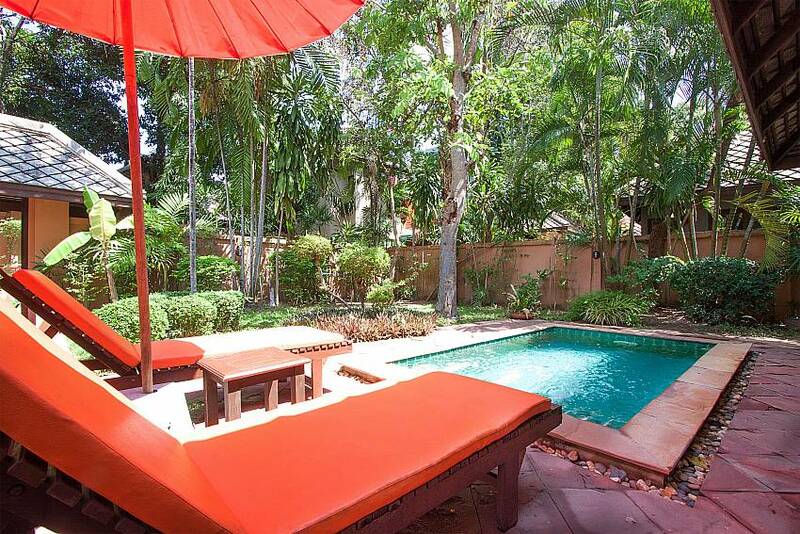 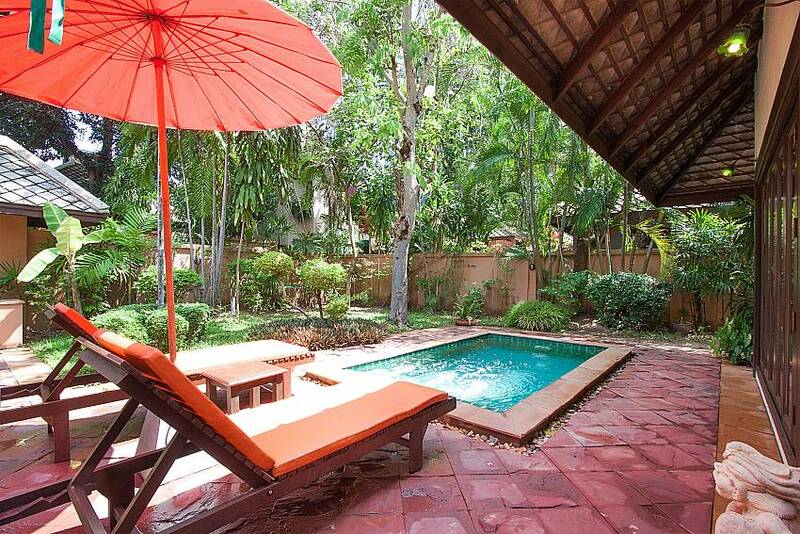 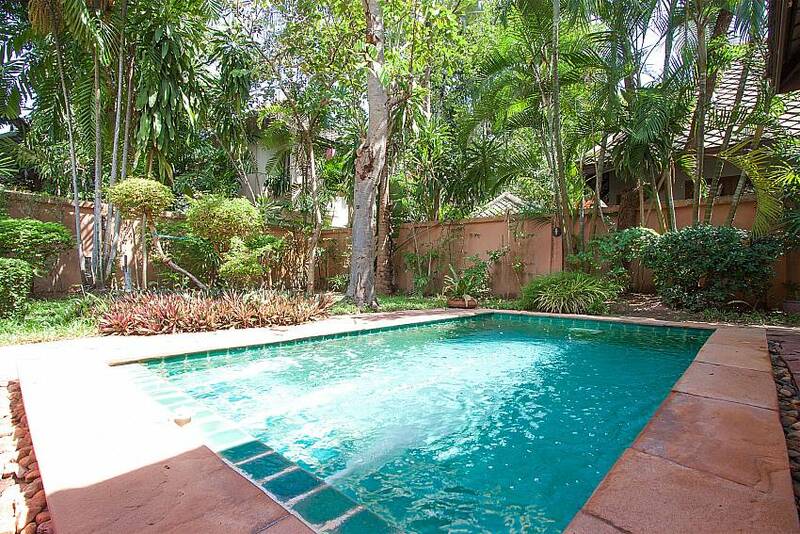 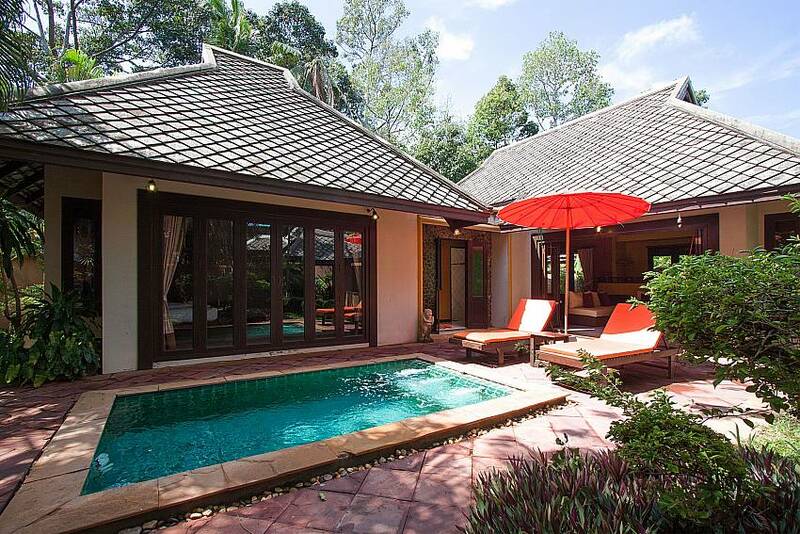 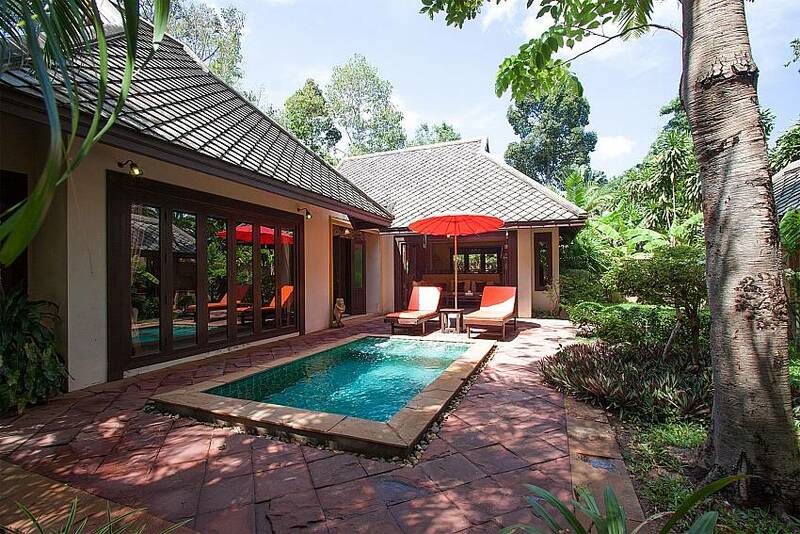 Relaxed and charming, the house belongs to a small resort set in an attractive Chaweng location. 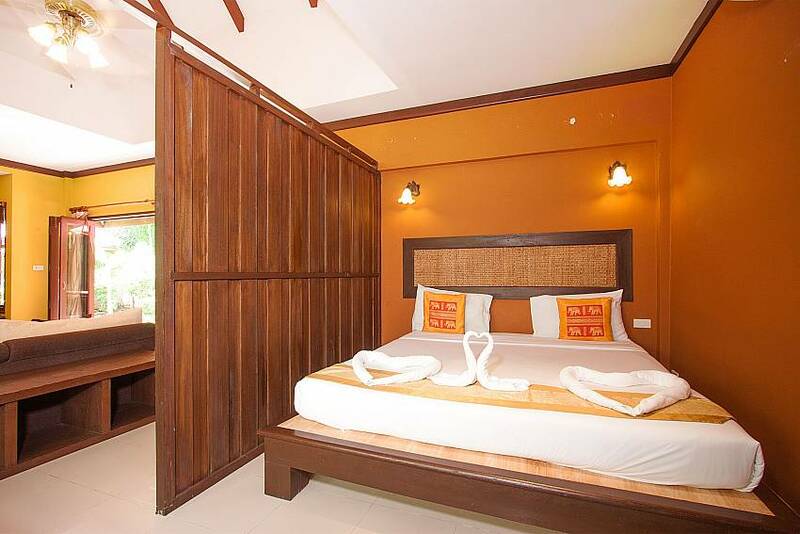 The two bedrooms sleep up to 4 people. 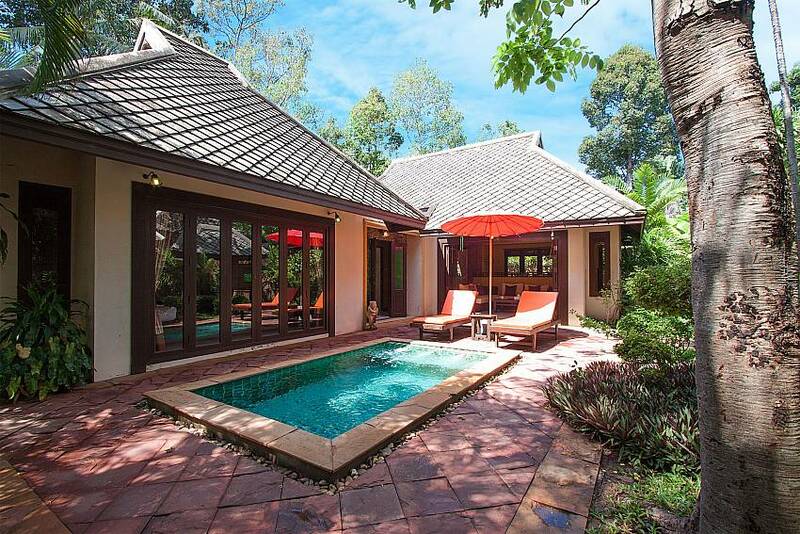 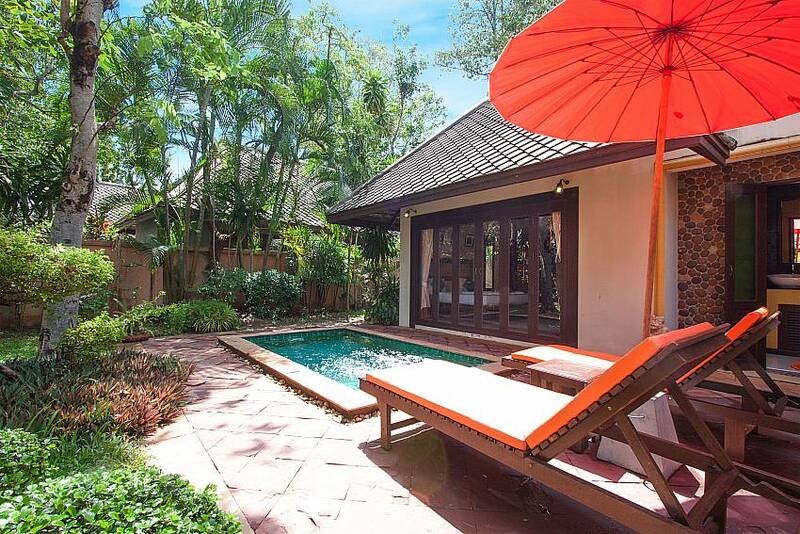 If you like unpretentious summer homes with a splash of local charm, look no further than Villa Baylea 203. 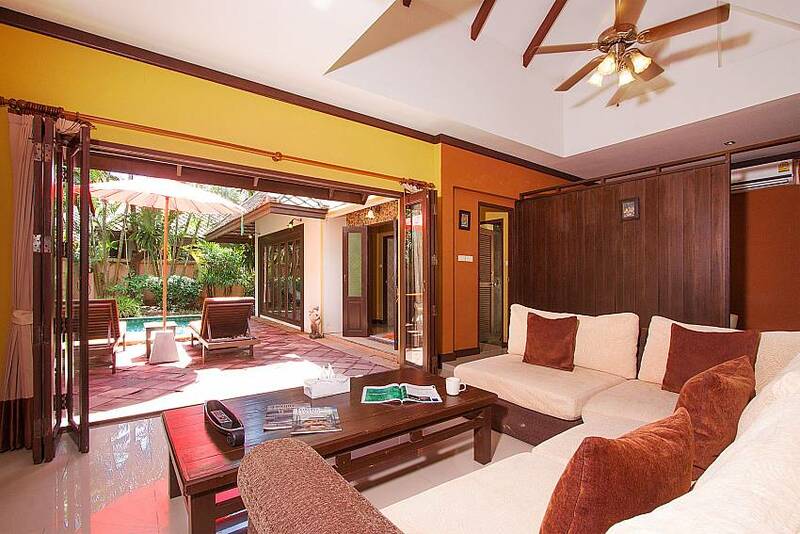 The house is set in a serene resort and surrounded with lush greens. 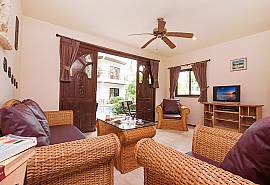 It has a private garden with a plunge swimming pool, plus you can also use the resort’s large communal pool and poolside café restaurant. 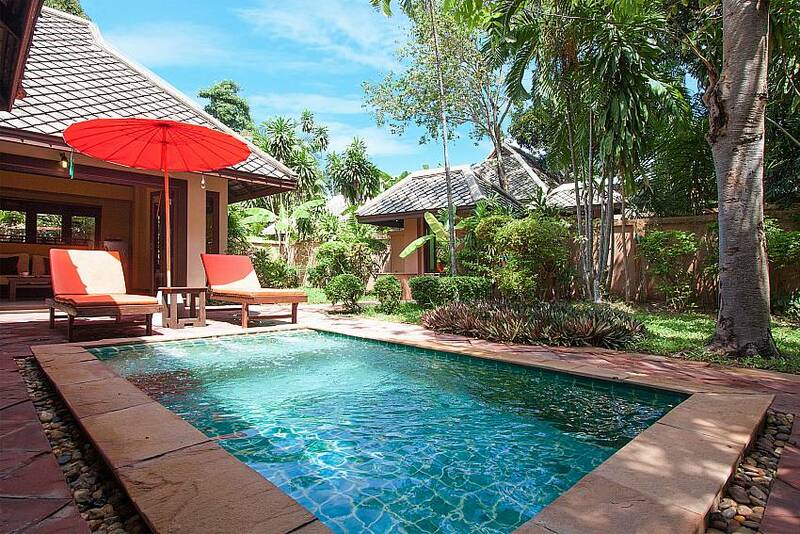 This is a perfect setting for charging your batteries and relishing the tropical wonders of Samui Island. 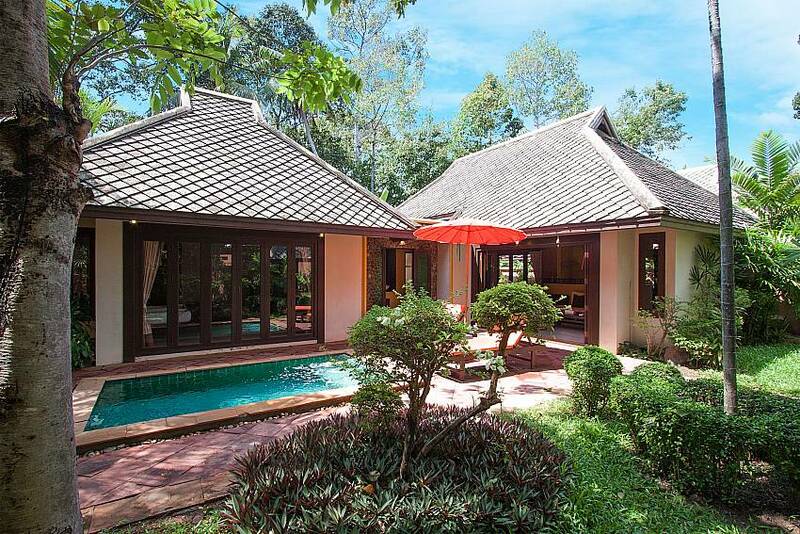 The villa’s indoor and outdoor areas blend seamlessly as the garden is accessible from nearly every room. 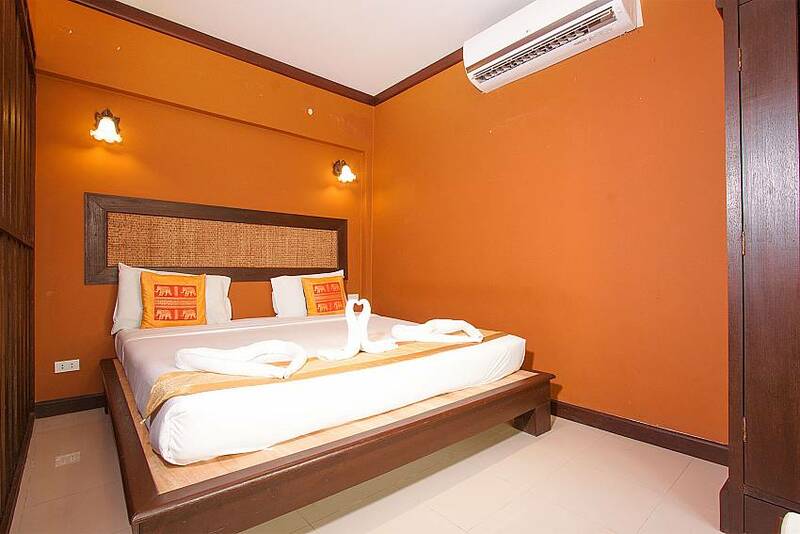 There are many glass doors and windows which provide an abundance of natural light; you can also use blackout curtains to ensure a good night’s sleep. 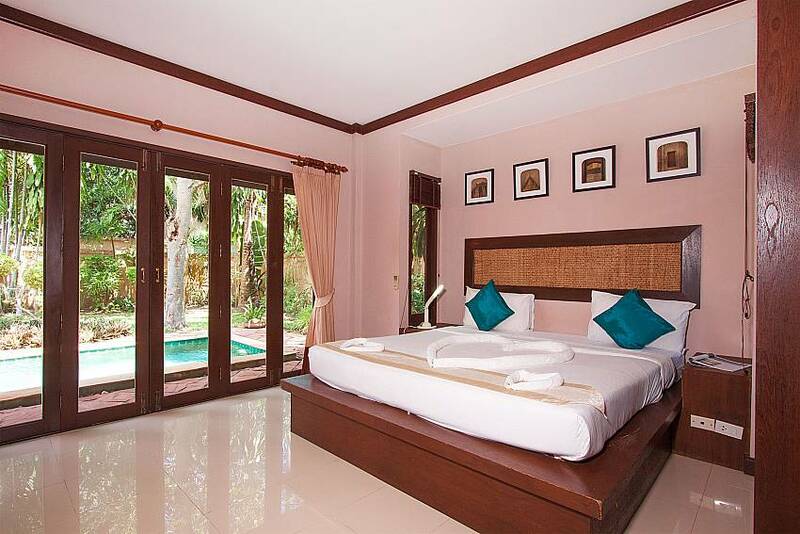 The master bedroom opens to the pool and features a king size bed, TV, closet, dressing table, and an air-con. 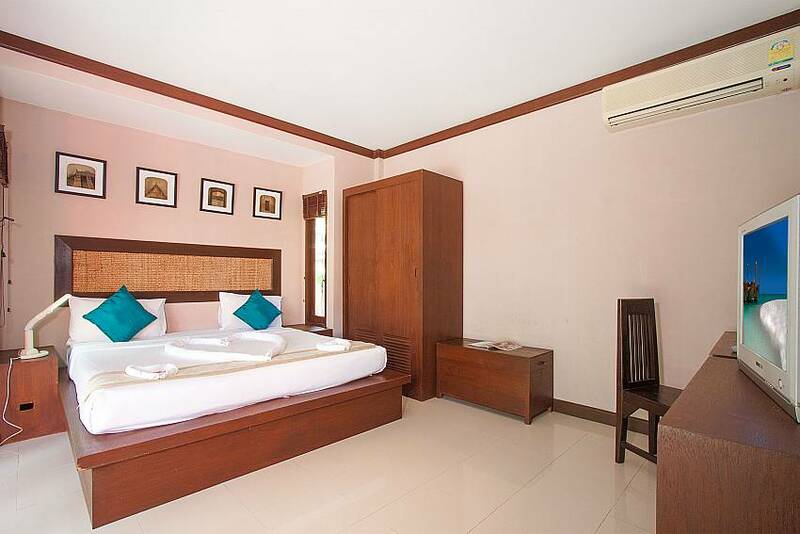 The second bedroom has a king size bed and an air-con, and it is separated from the living/kitchen area by a large screen* (*there are no doors). 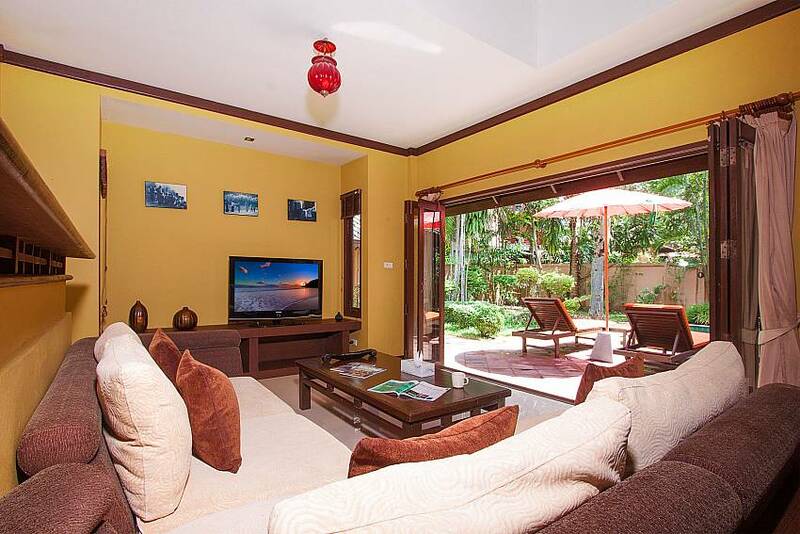 The living room is open plan with the kitchen, and also facing the pool. 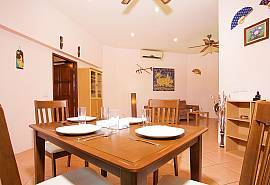 There is a comfortable seated area with a large flat-screen Cable TV, coffee table, and a ceiling fan. 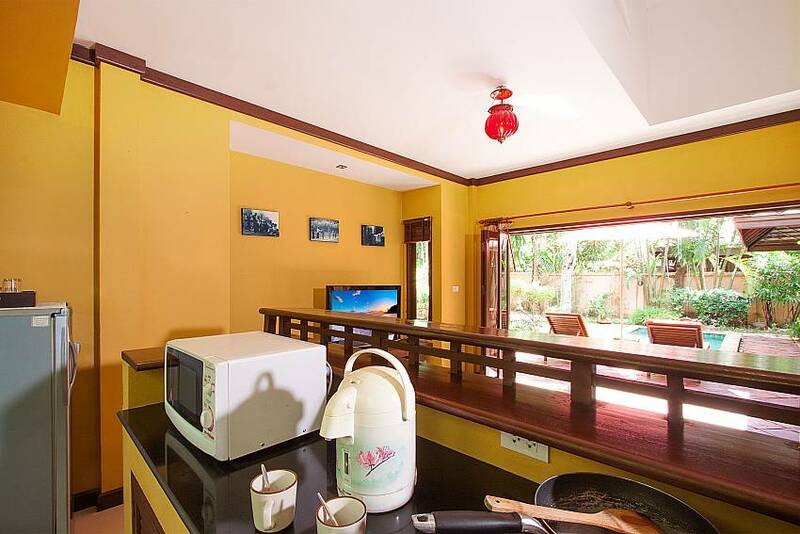 The kitchen is compact and fitted with appliances to do basic meal preparation – there is a 1-ring stove, fridge, microwave, and a kettle. 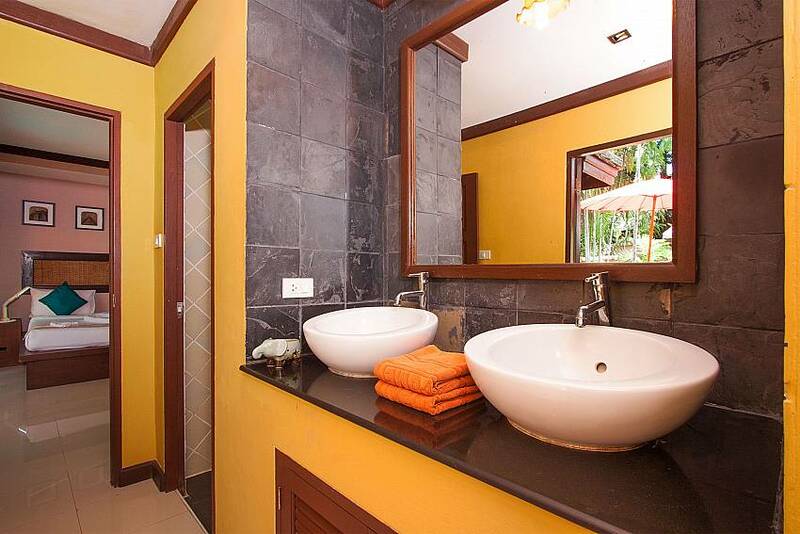 The villa has one bathroom with shower and toilet, and 2 wash basins in the hallway in the front of it. 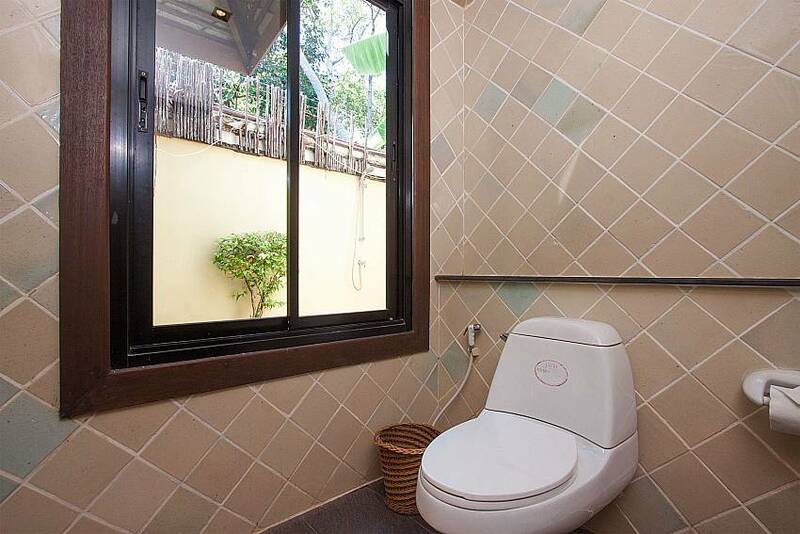 This layout is very convenient as you can use the sinks regardless of whether the toilet/shower is occupied or not. 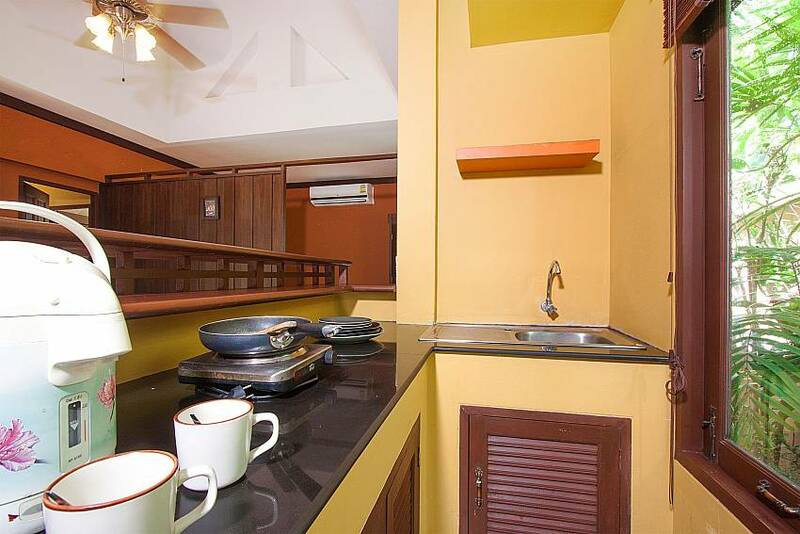 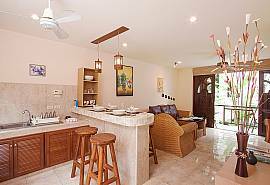 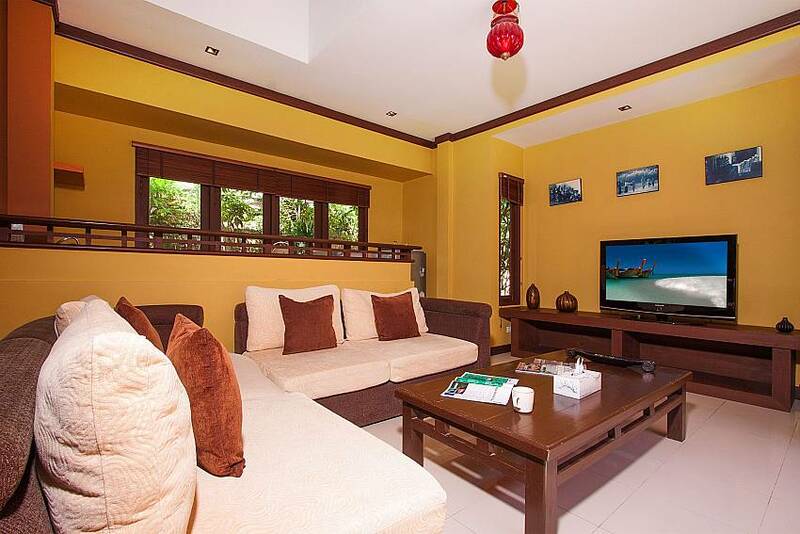 The villa comes with safe parking, free Wi-Fi, and daily maid service. 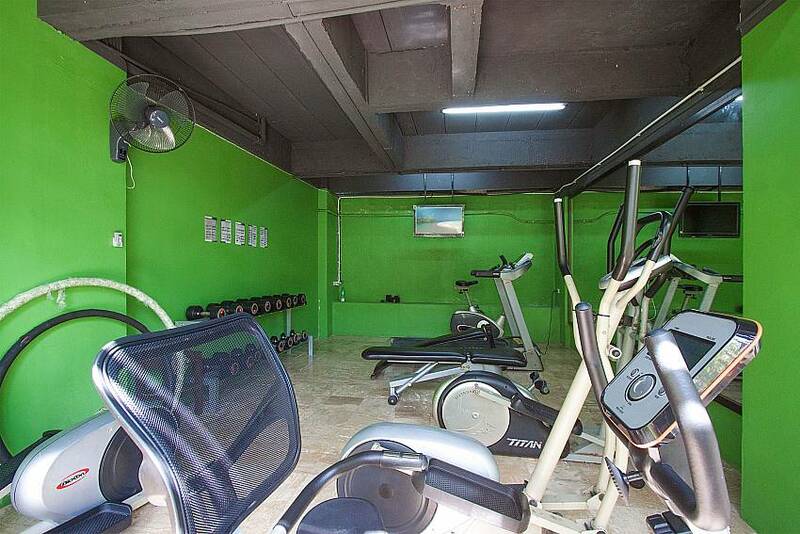 The resort has an exercise room for those who like to keep fit; you can rent motorbikes and seek all kinds of travel services onsite as well. 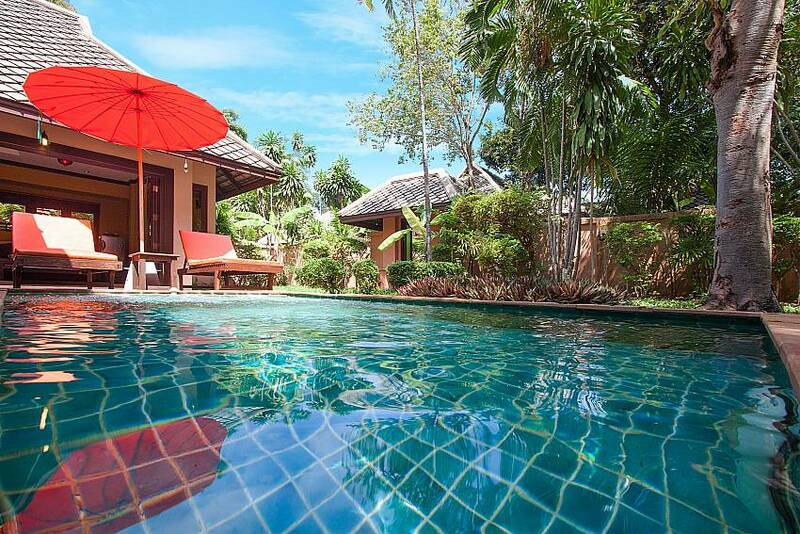 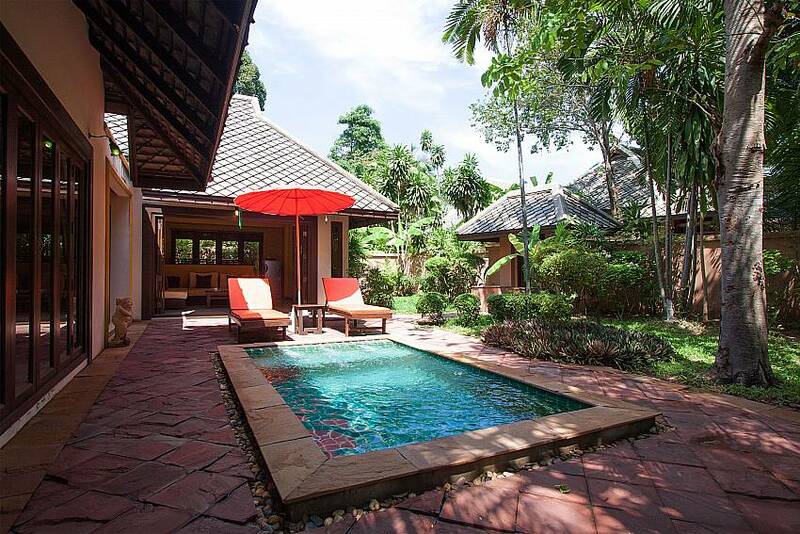 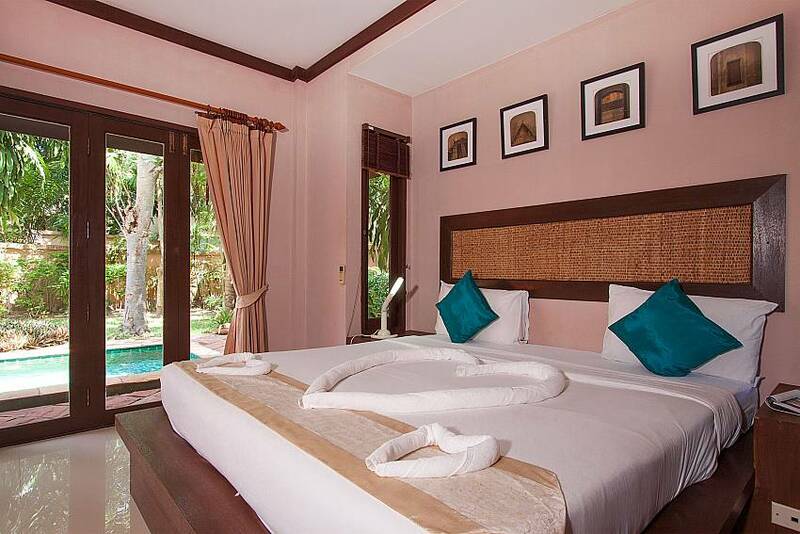 Nestled on a gentle hill in the northern part of Chaweng Beach, the villa complex is only minutes away from a great number of interesting sites. 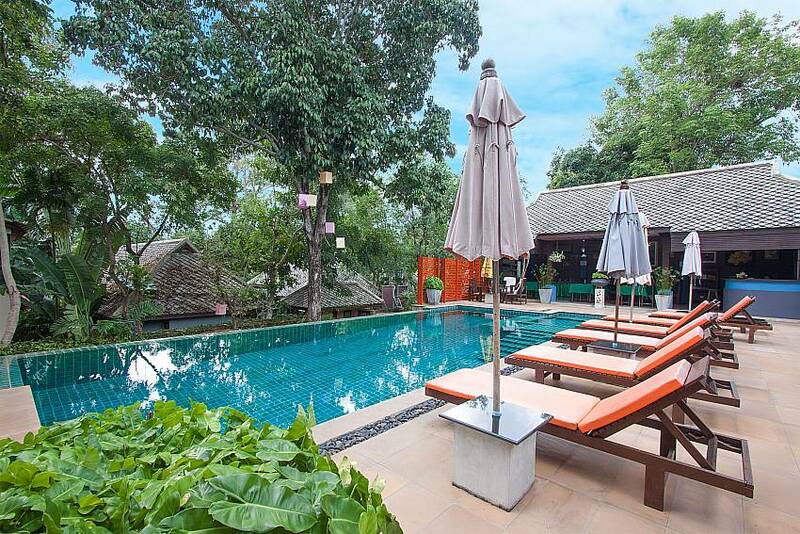 There is a nearby Pagoda and a viewpoint called Khao Hua Jook that is best reached by vehicle even though it’s 300 meters away. 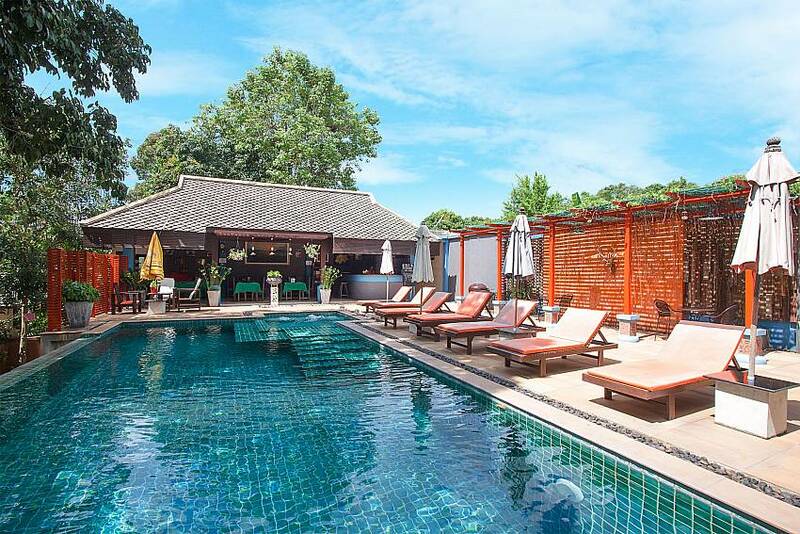 It takes about 3 minutes’ drive to reach Chaweng’s busy area and beach, and Chaweng Lake itself offers restaurants, bars, nightclubs, and even bungee jumping for those who are feeling adventurous. 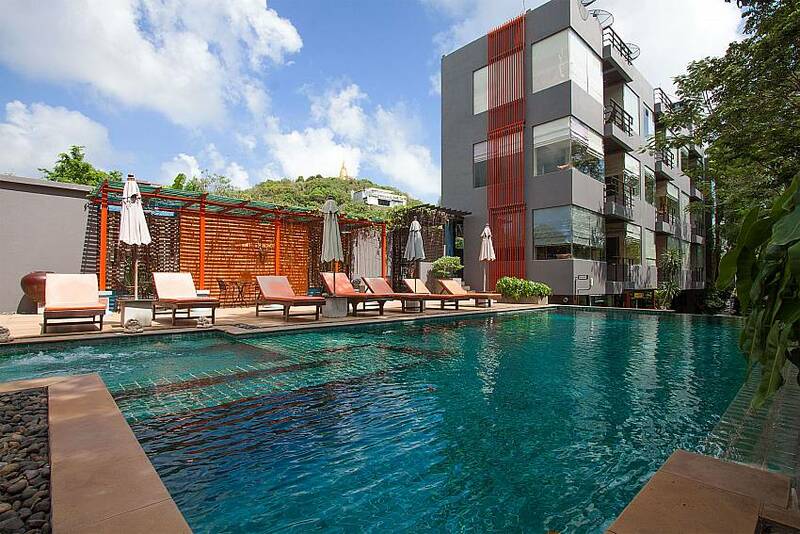 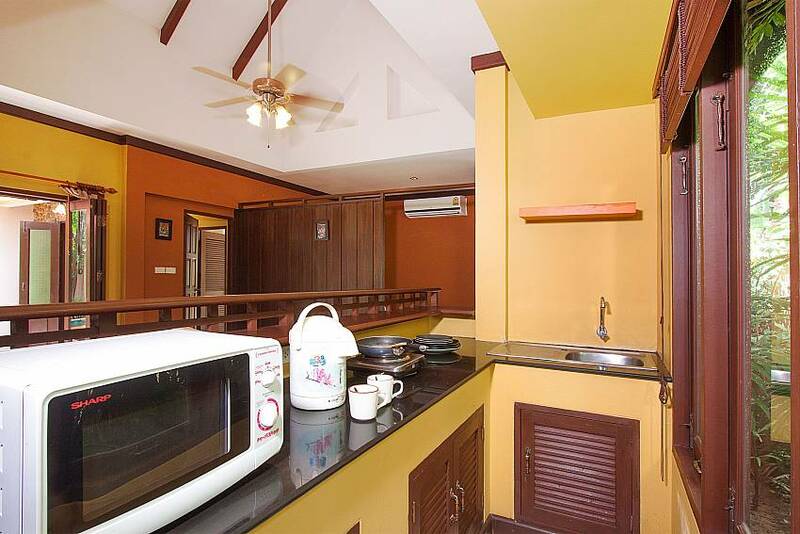 Click here to view all our properties for rent in Koh Samui.